Take a lesson from these collaborations between academic institutions and design greats. 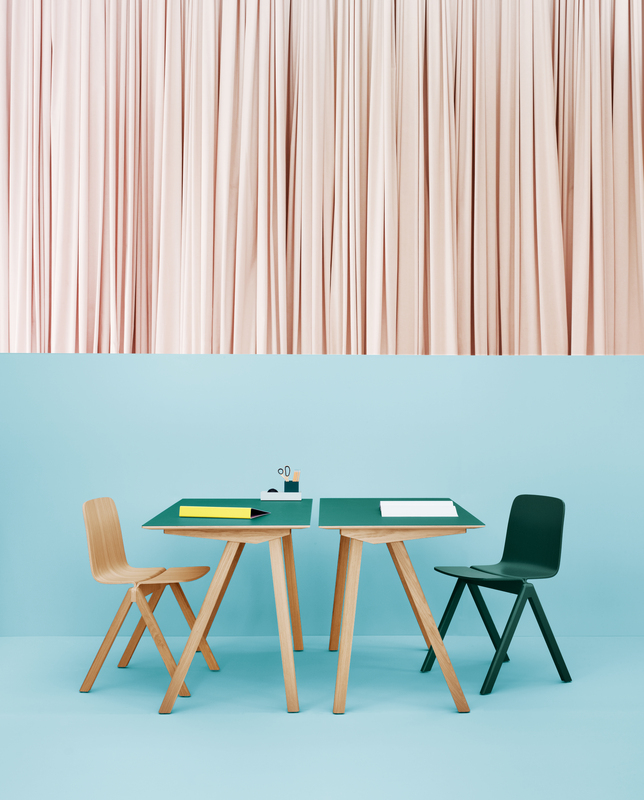 Ronan and Erwan Bouroullec In 2012, the brothers Bouroullec collaborated with Danish company Hay on wooden furniture for the Faculty of Humanities at the University of Copenhagen. Inspired by a Bernt Petersen–designed trestle chair that they saw at the university, the updated seat design—in which two halves meet at an exaggerated, elegant seam—is fittingly reminiscent of an open book. Both chair and table are available in soap-treated beech and stained or lacquered oak. Fritz Flötotto The Formsitz chair, developed by the company Flötotto for German schools in 1956, features a patented seat made of “pagwood”: beech veneers soaked in resins and treated to develop characteristics of plastic. (A contemporary polypropylene version of Fritz Flötotto’s original chair was designed for the company in 2012 by Konstantin Grcic.) For efficient classroom sweeping, the Formsitz chair slides into brackets on the underside of the corresponding wood desk, also from 1956. Eero Saarinen The junior Saarinen’s debut as a furniture designer—at age 20—came with a commission for most of the furnishings at Cranbrook’s Kingswood Middle School for Girls in Michigan. (His father, Eliel, designed the campus.) His 1930 auditorium armchair, made of tubular chromed steel and wood with light-green woven upholstery, has a cantilevered seat, like Mies van der Rohe’s Brno chair from the same year. Robin and Lucienne Day Churchill College at the University of Cambridge commissioned Robin Day for the first time in 1962 for dining room furniture. The results yielded additional projects for himself and his wife, Lucienne, a textile designer. Robin’s black leather Club settees and armchairs and black vinyl–covered Interplan desks and tables still outfit the Senior Combination Room today. Marcel Breuer Some of Marcel Breuer’s earlier experiments found a home in his 1938 commission from Bryn Mawr College—just as students found a home in the newly built Rhoads Hall, outfitted with desks, chairs, dressers, mirrors, and bookshelves of his design. The L-shaped chair, for example, continued Breuer’s experiments with cutout plywood.